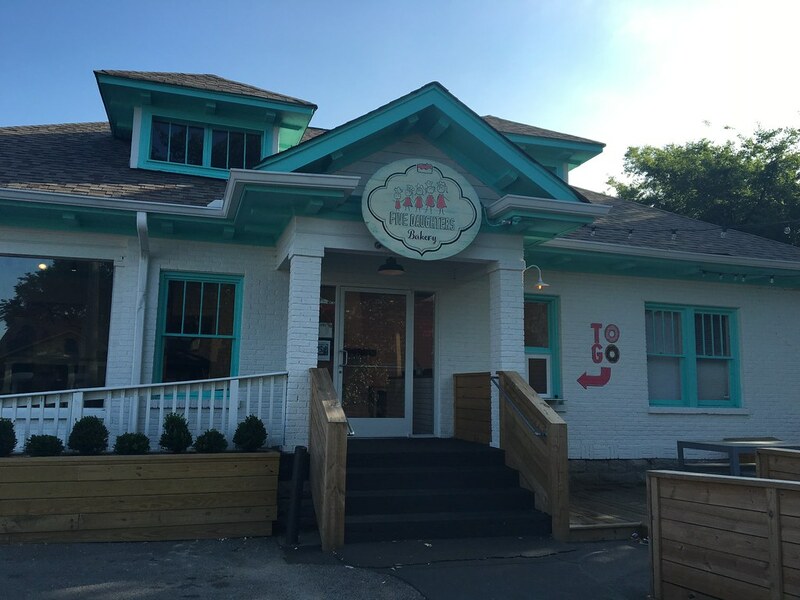 It's Nashville's version of a cronut. 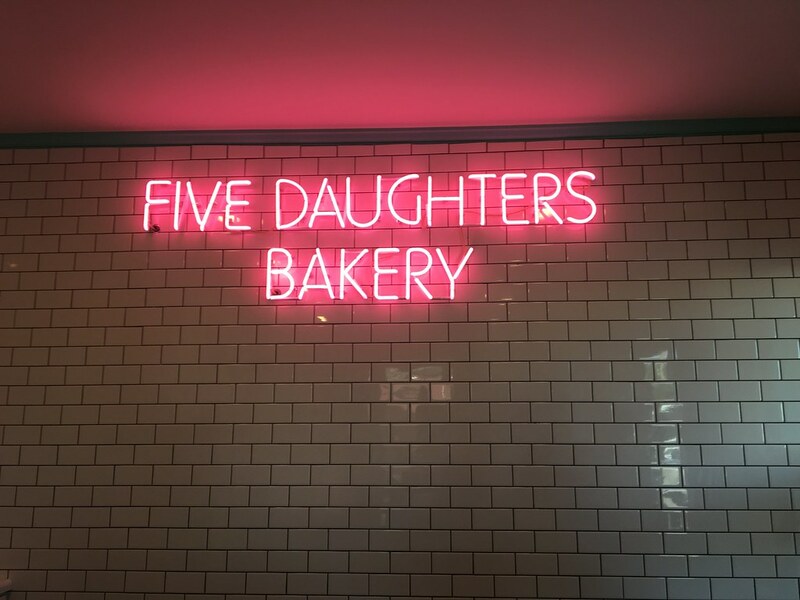 Five Daughters Bakery was at the top of Brittany's to-visit list while I was in Nashville, and I have to admit that I was not particularly thrilled. Not because I don't trust Brittany's choices - I 100% do - but because donuts just aren't really my thing. Pastries in general just don't do it for me. 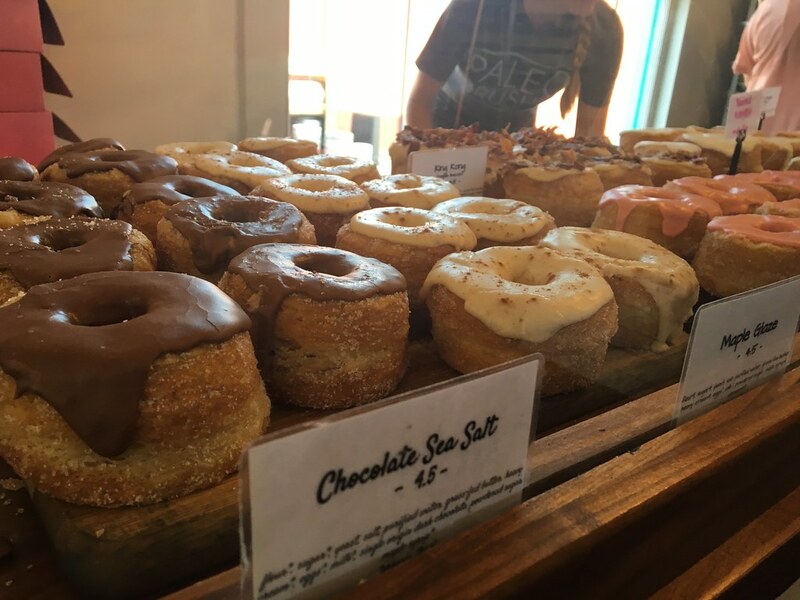 We walked into Five Daughters Bakery and back toward the donuts they had prepped and ready to go. These fine creations take up to three days to make. Chocolate Sea Salt, Maple Glaze - there were tons that all looked amazing. 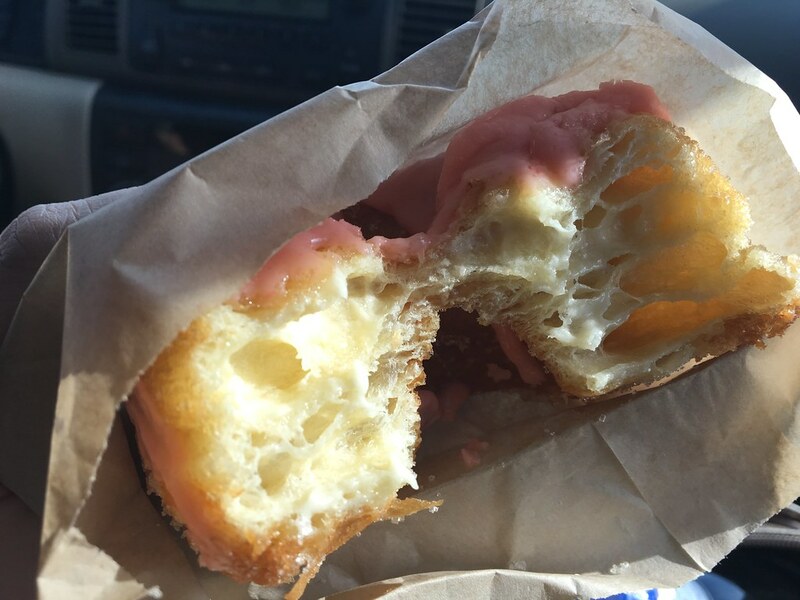 The donut is this croissant/donut hybrid. The 100-layer donut is rolled in sugar, filled with cream and topped with an amazing glaze. I went for the strawberry lemonade. And WOW. 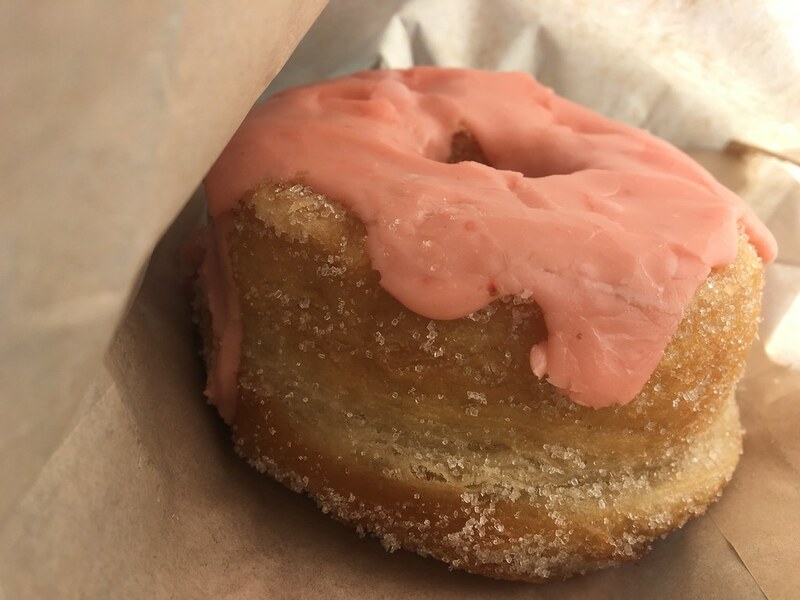 Think of taking a donut, making it thin and flaky inside, slathering it with butter, adding a lemon cream among those layers, topping it with a strawberry glaze and sugar. Just amazing. Don't let the $5 price tag fool you. You won't need more than one. 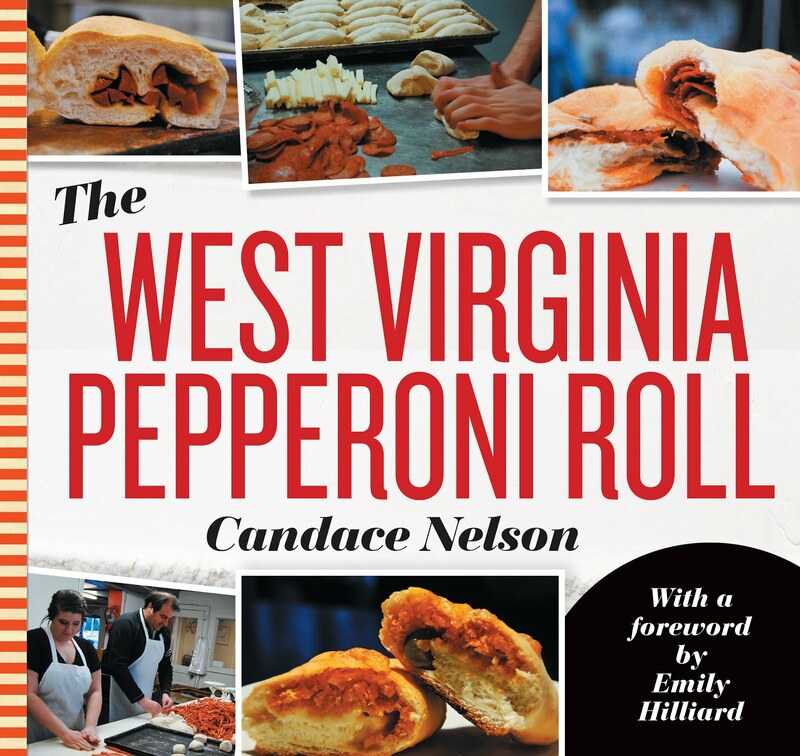 But, it may just be the best $5 you ever spend.